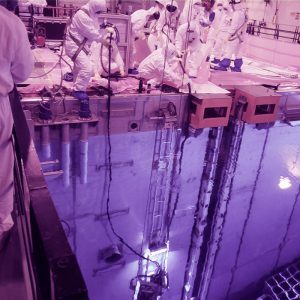 What do we offer in our Nuclear Power Plant Inspection Services? Tecnatom has the capacities to develop NDT inspections for all the critical components of a nuclear plant, from the reactor vessel to the vapour generators, including internal parts, nozzles, pipes, heat exchangers, capacitors, nuclear fuel etc. We design NDT solutions in continuous collaboration with our clients, identifying the planification which best suits the availability of the plant. At Tecnatom we have our own technology which has allowed us to develop numerous inspection system technologies, both automatic and manual, allowing us to provide services using all types of NDT methods: ultrasounds (UT Air, laser generated or Phased Array), induced current, liquid penetrators, magnetic particles, radiology (digital and conventional), thermography, etc. In the inspections carried out by our NDT experts, we used our highly versatile inspection systems, which are able to adapt to the diverse geometrics and thickness of components. This is all possible thanks to our sustained faith in R+D investment, conscious of the fact that a solid technological base is fundamental for our growth. 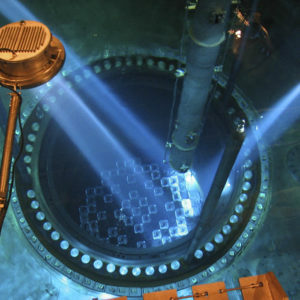 In addition to our technological capacity we also have profound knowledge and experience in the science of Non-Destructive Testing, which make our experts global leaders as nuclear plant system and component specialists, regardless of the type and technology present or the requirements of different international standards. At Tecnatom we know that technology, knowledge and experience are the keys to optimizing efficiency in NDT inspections, and contribute to the safe and optimum operation of nuclear plants.